A slew of recent studies sheds light on the neurodegenerative disorder Parkinson disease. Although pathogens have long been suspected to play a role in the neurodegeneration of Parkinson's and related diseases (see our December 2010 feature), very little is understood about the mechanics of the process. 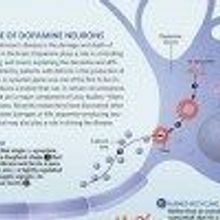 The hallmark pathology of Parkinson’s disease is the damage and death of dopamine producing neurons in the brain. The minority of Parkinson’s cases now known to have genetic origins are shedding light on the cellular mechanisms of all the rest, bringing researchers closer to a cause—and perhaps a cure.